Shampoos are cleaning formulations used for a wide range of applications, including personal care, pet use, and carpets. The primary ingredient in all shampoos is water, typically making up about 70-80% of the entire formula. Deionized water, which is specially treated to remove various particles and ions, is used in shampoos. The source of the water can be underground wells, lakes, or rivers. Shampooing your hair can help strengthen the bonds within your hair and enrich it with vitamins, minerals and proteins. Shampoo technology will also improve as new ingredients are developed by raw material suppliers. Some important advances are being made in the development of compounds such as polymers, silicones, and surfactants. These materials will be less irritating, less expensive, more environmentally friendly, and also provide greater functionality and performance. 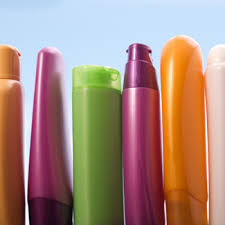 Shampoo can be a thick, heavy substance for your hair, depending on what type you choose to use. Before the advent of shampoos, people typically used soap for personal care. However, soap had the distinct disadvantages of being irritating to the eyes and incompatible with hard water, which made it leave a dull-looking film on the hair. In the early 1930s, the first synthetic detergent shampoo was introduced, although it still had some disadvantages. The 1960s brought the detergent technology we use today. New shampoos are initially created by cosmetic chemists in the laboratory.